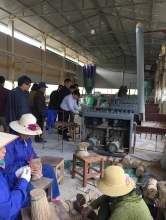 (VEN) - Insufficient subsidies, the small number of industrial and handi-craft facilities and poor finances have together made it impossible for Lang Son Province to implement key projects on industry promotion. individuals to invest in industry and handicrafts in order to create jobs and income for rural people. However, the province is facing numerous disadvantages in industry promotion, including limited land suitable for construction of factories, the small number of industrial and handicraft facilities, and their small scale and poor finances. The annual provincial budget earmarked for industry promotion activities remains insufficient, averaging a mere VND700 million per year from 2007-2015. The figure increased to VND1.42 billion in 2016 but still fell short of the needs. Moreover, most district industry promotion officials have had to do two or more jobs at the same time and have not been paid for industry promotion activities. This explains why industry promotion surveys and evaluations have been inefficient. new technology in production to create high-end models and better attract industry and handicraft facilities. Despite disadvantages, last year the province successfully launched a number of industry promotion projects. The Lang Son Center for Industry Promotion and Industrial Development Consultancy helped the Non Nuoc Joint Stock Company build a carton box production line, providing about 100,000 pieces per month to meet demand of enterprises in the province. 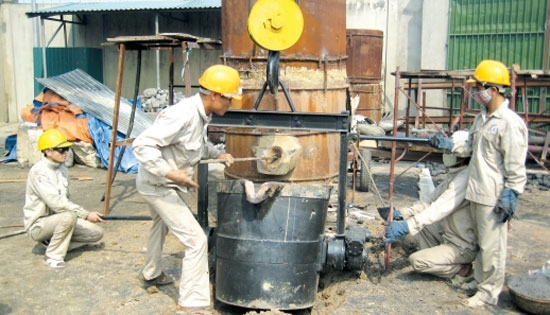 The center has also supported the Phuong Nam Export and Import One-member Co., Ltd. to build a trial line for making FO-R cheap oil from waste rubber as a fossil coal substitution, contributing to reducing waste discharge, while increasing profitability. 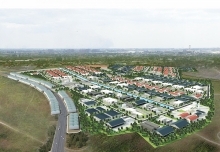 Apart from prioritizing application of new technology, the center will enhance training and retraining of the industry promotion workforce, combine industry promotion with trade promotion activities, improve planning and increase investment in infrastructure of industrial zones to facilitate stable and long-term location of enterprises.